Join our expansive affiliate network and become a trusted FullTruckload.com full truckload carrier. We service businesses with large load, time-critical shipping needs across the United States, Canada and Mexico to help them significantly increase efficiency by reducing the time, cost and risk of their shipments. FullTruckload.com was launched with an entrepreneurial spirit that we still retain today. We know what it means to be a risk taker while still appreciating the benefit of having a safe and reliable environment that sets you up for success. As a FullTruckload.com independent agent, you will enjoy the support of a transportation and logistics industry leader, while still enjoying the freedom that comes with having your own agency. We provide technological, administrative and sales support to help you do your job successfully. Benefits of our "Agent to Carrier Program"
This is an exciting time to be a part of the growing transportation and logistics industry, and we’re on the forefront. 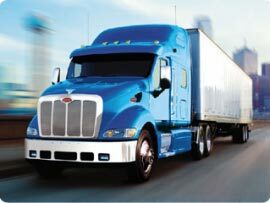 With more than 50,000 units on the road at any given time in our network of carriers and our convenient cloud-based technology, there is virtually no limit to the opportunities as a full truckload carrier with FullTruckload.com.